Based on the fortuitous programming of the eminent pianists who have performed on the Steinway Series, recent blog posts have had the opportunity to muse on the musical forms piano sonata and piano variations prior to concerts featuring those kinds of works. Yeol Eum Son’s upcoming program, which promises to be an unforgettable afternoon of beauty, presents two sets of another type of piano music: the prelude. Prelude originally referred to a piece of music that was to precede another, usually of the same key. A free-form piece, often improvised, it intended to focus the audience’s attention, establish a mood, and introduce material or characteristics of the work to follow. The most famous and celebrated example of this is without doubt the 48 Preludes and Fugues that make up the two books of Well-Tempered Clavier, by J.S. Bach. With this magnum opus, Bach systematically took the compositional possibilities of this kind of prelude to the pinnacle of craft and inventiveness. Composers of the Romantic period, following the lead of Johann Hummel, began considering the prelude as an independent work, a kind of character piece exploring a variety of compositional ideas, temperaments, or aspects of piano technique. The quintessential model of this type is the set of 24 Preludes by Frédéric Chopin, a masterpiece that we will hear Yeol Eum Son perform. Like Bach’s, this is an orderly traversal through all major and minor keys, although Chopin orders them in a different way. I believe Romantic composers were drawn to this form for the chance to fashion highly individual, exquisite cameos from a single musical idea or kind of figuration (which isn’t so different a compositional approach as the Baroque composers used). Each experience or mood could be fleeting, capturing a certain essence without the obligation to fulfil any particular structure. And grouped together, each evanescent miniature could contribute to a larger narrative. Consider a piece like Schumann’s Carnivale or even Mussorgsky’s Pictures at an Exhibition, which we heard performed by Alpin Hong at the beginning of March. These works were composed and presented as programmatic cycles around a distinctive unifying subject. But when hearing Yeol Eum Son share the wonderful preludes of Chopin and Rachmaninoff, you may experience something similar to the effect created by those other major works—perhaps something more personal to you. Other famous piano preludes include sets by Gabriel Fauré, Claude Debussy, Alexander Scriabin, and Sergei Rachmaninoff. More recently, Dmitri Shostakovich replicated the Bach model in creating 24 Preludes and Fugues in all keys. We have enjoyed a wonderful selection of preludes on recent COPI concerts. Two years ago, Joyce Yang shared the astonishing Anne Landa Preludes(2006) of Australian composer Carl Vine. And in the previous season, Vadym Kholodenko bewitched us with Scriabin’s atmospheric Op. 11 Preludes, which follow the exact same order of keys as Chopin’s. At Corvallis-OSU Piano International, our mission is “bringing people together in a culture of piano through performance, education and advocacy.” We are always thrilled by the opportunity to present world-class pianists and spectacular repertoire through our Steinway Series. No less a key part of our mission is to provide first-class celebratory and learning events for the whole community. The first two days of March offer a delightful two-part pianistic celebration for all to enjoy! On Friday, March 1, at First Presbyterian Church in downtown Corvallis, acclaimed “Pied Piper of the Piano” Alpin Hong displays his keen charisma and musicianship in a lecture-concert called Insights at the Piano: Masters of Metamorphosis. Following on the variation fun in Jeremy Denk’s January concert (see previous post), Hong describes his concert “Themes and variations by Mendelssohn, Muczynski, and Mussorgsky illuminating how composers mold our emotions through modulation, meter, and myth.” Hong’s presentations are always marked by incredible creativity and vitality. A New York Times review of his sold-out New York recital debut at Carnegie Hall’s Weill Recital Hall called him a “pianistic firebrand.” In advance of his visit to Corvallis, he gives a special greeting to our community in this video. The next day, Saturday, March 2, brings our ever-popular community celebration People and Pianos Day. Festivities begin with a Children’s Concert called Snakes, Sharks, and Swans, A Whimsical Tour with Cello and Piano, in which cellist Victoria Wolff and pianist Rachelle McCabe share the sounds of slithering snakes and aquatic animals. The afternoon festivities once again feature Alpin Hong, sharing his insights in a program called Transformers: More Than Meets the Ear, including a performance of Gershwin’s Rhapsody in Blue. Throughout the day, mini talks and lobby performances featuring community pianists will surprise and delight. We hope you and your family will join us the first weekend in March for our pianistic extravaganza! In a post last spring, I noted that we were experiencing several major piano sonatas over the course of two Steinway Series concerts. Jeremy Denk’s upcoming program features four sets of another famed piano form: variations, or theme and variations. In this form, the composer presents a theme, or melody, either original or a preexisting tune, relatively short and unadorned. This theme is then subjected to various techniques—melodic, rhythmic, harmonic, and others—that decorate, elaborate, evolve, and transform the original material. This gives the composer an opportunity to embark on a kind of kaleidoscopic exploration of the melody. The variations of Classical composers also frequently stemmed from live improvisation in public performances. Theme and variations can be standalone pieces, as in the first half of Denk’s concert, or movements or sections of movements in larger works, as in the first movement of the Schumann Fantasiethat Denk concludes his program with. We have heard theme and variations on many recent COPI concerts. 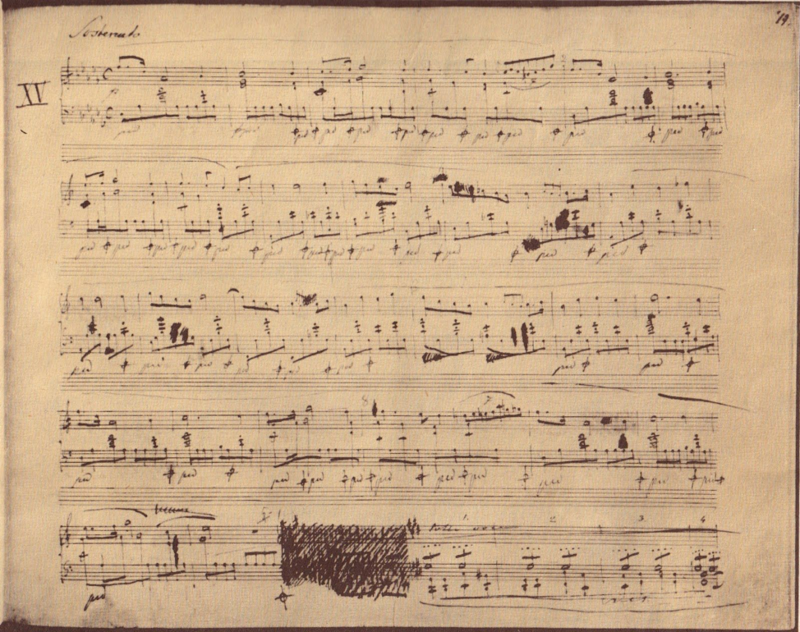 To name a few: the last movement of Beethoven’s Sonata Op. 109 performed by Conrad Tao; the Brahms Variations and Fugue on a Theme by Handel, performed by both Inan Barnaton and Simon Trpčeski; and the unforgettable Brahms Paganini Variations Natasha Paremski dazzled us with. And a few months ago, many of us were fortunate to hear Rachelle and Robin McCabe perform the Brahms Variations on a Theme by Haydnfor duo piano. Unlike the “Hero’s Journey” of the piano sonata discussed last spring, theme and variations may come across as less existentially valiant, rather merely compositional or performative razzle-dazzle. As a pianist, however, I love performing this form, and I think I can speak for my colleagues in this regard. 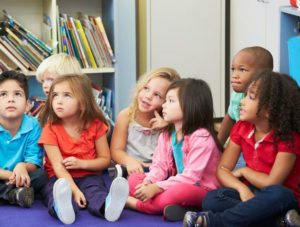 There is something profound about the ever-deeper, transformative examination of the music; the whole is always contained in all the imaginative elements, techniques, and surprises along the way. Playing them, I have felt like I’m a destroyer of worlds like Shiva, or the builder of the most monumental cathedral ever imagined. And just hear the way Rachmaninoff’s Corelli Variations contribute to such devastating effect in Rachelle McCabe and Kathleen Moore’s A Call to Lifeprogram. A symphony is a musical epic. We might say that it is like a voyage leading from one thing to another, farther and farther away through the infinitude of the exterior world. Variations are also like a voyage. But that voyage does not lead through the infinitude of the exterior world. […] The voyage of variations leads into that other infinitude, into the infinite diversity of the interior world lying hidden in all things. Beethoven thus discovered in variations another area to be explored. His variations are a new “invitation to the voyage.” Variation form is the form in which concentration is brought to its maximum; it enables the composer to speak only of essentials, to go straight to the core of the matter. A theme for variations often consists of no more than sixteen measures. Beethoven goes inside those sixteen measures as if down a shaft leading into the interior of the earth. The voyage into that other infinitude is no less adventurous than the voyage of the epic. It is how the physicist penetrates into the wondrous depths of the atom. With every variations Beethoven moves farther and farther away from the initial theme, which resembles the last variations as little as a flower its image under a microscope. Happy Holidays to all of you from all of us at Corvallis – OSU Piano International. We wish you a music – and (hopefully) leisure – filled next few weeks as we look forward to 2019. The New Year immediately provides the requisite fireworks as extraordinarily gifted pianist Jeremy Denk takes on the magnificent LaSells Steinway on Sunday, January 13. This concert is considerably sooner than our usual winter slot, but when we found ourselves with the opportunity to get Denk, we jumped at the chance. This is the pianist consistently most requested by you, our audience, and we know you will consider this concert a “must-see.” Mark your calendar now! Denk is the winner of the MacArthur “Genius” Fellowship (2013) and the Avery Fisher Prize (2014), and in 2016 was elected to the American Academy of Arts and Sciences. He performs across the United States and around the world to rave reviews. The New York Times calls Denk “a pianist you want to hear no matter what he performs.” He offers one of the most interesting programs we will have heard on the Steinway Piano Series, including sets of variations by Beethoven, Bizet, and Mendelssohn, a Liszt transcription of a famous Beethoven song cycle, and the extraordinary Schumann Fantaisie. I am eagerly looking forward to starting out my 2019 on such an inspiring note, and I hope many of you will join me in the LaSells audience for an unforgettable January afternoon. 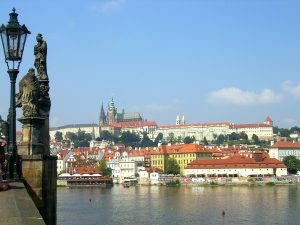 I had the great pleasure of spending ten days in Prague, Czech Republic, in the mid-1990s, not so long after Eastern Europe opened up. At that time the city was not quite today’s scrubbed jewel case. Even though still a bit rough around the edges, Prague presented at every turn art and architecture to astonish, and the creativity and world-weathered humor of its citizens was palpable. Every afternoon we enjoyed dumplings and red cabbage, then attended inexpensive concerts (sometimes two in succession) in splendid silver-gilded baroque churches. Ambling around the Old Town and over Charles Bridge, one could hear the sounds of all kinds of music intermingling with the unforgettable fragrance of more lilacs than you could possibly imagine. When Czech pianist Lukáš Vondráček launches our 2018-2019 Steinway Series on November 4, 2018, he will offer a rare treat—piano works by three of his homeland composers. This is extremely attractive and well-crafted music. As Bohemia was part of the Austrian Empire, its musicians were well connected to the main line of European classical music. Czech composers, especially guided by Antonín Dvořák and Bedřich Smetana, infused this with melodic spontaneity and harmonic unaffectedness, incorporating traces of native folk melodies and popular dance rhythms to create a fresh and insouciant musical language. lush. 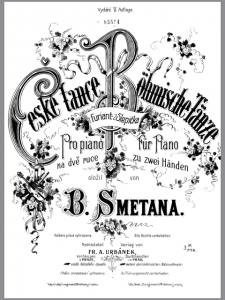 Smetana’s Czech Dances, based on actual folk dances, are so lively and tuneful that I challenge you not to smile and tap your feet. Whether the first weekend of November proves sunny or gray, these rarely-heard Czech piano works are sure to surprise and delight. I am grateful to Vondráček for sharing music from his homeland with us. This weekend marks the autumn equinox, and the reddening leaves and cool, clear air give imminent promise of an exciting new season for Corvallis-OSU Piano International. Our flagship Steinway Piano Series presents three extraordinary pianists, and you won’t want to miss the first weekend of March, when a fascinating lecture concert anchors our People and Pianos Celebration. 2018 marks the 100th anniversary of the passing of French composer Claude Debussy. In just a few weeks, one of the world’s foremost Debussy pianists and scholars—Paul Roberts—returns to Corvallis for his acclaimed three-day adult piano workshop. We are still accepting a few more participants; click here for more information. The Steinway Series begins in mid-November with Lukáš Vondráček. The Czech pianist impressed Portland audiences earlier this year with his program featuring works of Robert Schumann as well as three Czech composers. Next, early in 2019, Jeremy Denk—most requested by the COPI audience—presents one of the most fascinating programs we’ve seen. I knew Jeremy as a fellow Oberlin student who wowed us all with his ability to play anything—even while tackling a challenging double major in piano and chemistry! Capping this series in April is the brilliant South Korean pianist Yeol Eum Son, silver medalist at both the Tchaikovsky and Van Cliburn competitions, offering a beautiful program of Chopin and Scriabin preludes. The first two days of March feature our lecture concert and People and Piano Celebration. Alpin Hong, known as a “modern day Pied Piper” and “pianistic firebrand,” examines musical theme and variations with sage insight and humor. The next day, the Corvallis Library becomes a pianistic carnival, with talks, performances, readings, our popular Children’s Concert, and cake! We look forward to sharing pianos and pianists with you. Thanks to the generosity of concert sponsors, we are able to continue packaging Steinway Series concerts as a $60 season ticket—an astonishing offer in this day and age for such a rarefied level of performance. And students always attend for free with school ID. Allow the magic of the piano to surprise, delight, and transform you in the months ahead, as cloudy days and cool rains invite us to nurture our inner lives while they replenish our beautiful land. As indicated in the program notes for Vadym Kholodenko’s April 29 concert at OSU’s LaSells Stewart Center, we will have heard six piano sonatas in two months—three from Garrick Ohlsson, three more from Kholodenko. What makes this category of music so compelling for our performers and audience alike? I have come to believe that all of us inherently crave meaningful travel (literally and figuratively, in all “dimensions”). 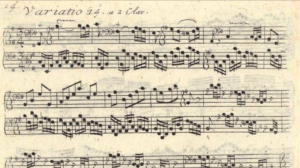 The sonata form (usually the structure of a sonata’s first movement) embodies journey. Musicologists have written many thousands of words analyzing the sonata’s evolution over the centuries, but even the basic facts illustrate this principle. In a nutshell, the form usually consists of three main sections defined by the various themes (melodies, or “tunes”) and their key (“home scale”) relationships. The first section, called the exposition, states the main theme in the tonic (home) key, then heads for a new key, usually the dominant (built on the fifth tone of the home scale) or the relative major, where a second, often contrasting theme appears. The exposition ends with closing material in the new key. The second section, known as the development, is a dramatic working out of the material from the exposition. The music goes through inventive tonal and rhythmic compositional treatment, then finds its way to a prolonged dominant. This resolves into the last section, known as the recapitulation, in which the thematic material from the exposition recurs more or less in the home key, concluding with a punctuating coda. Last year, at the Oregon Shakespeare Festival, I had the great privilege of experiencing Mary Zimmerman’s stunning stage depiction of Homer’s Odyssey—the ultimate example of the narrative known as the hero’s journey. Three and a half hours passed in a flash, and the audience was visibly moved by the experience. We relate to these epic quests—they are an inherent human evolution archetype—and their artistic representation in dizzying variety (we see countless examples in theater, opera, movies…) affect us deeply when beautifully done. While onstage, the solo performer is the hero, the community’s representative who willingly undergoes a transformative journey with our (the audience’s) real-time participation. In those truly memorable concerts people talk about for years, the performer’s transformation is so heightened that it fully catalyzes our own transfiguration. We are forever changed, and in turn we now affect the world around us differently. This is the key reason why live performance has always been an inseparable part of the human cultural experience—and always will be. The “technological machine” may constantly push on-demand media experiences with ever-increasing ease, convenience, and vividness, but nothing will ever replace the thrill and edification of live performance. This Sunday, Vadym Kholodenko will simultaneously create, traverse, and guide us on three sonata journeys within his “uber performance journey.” Because he is an incredible musician, we will leave LaSells as completely new people. We never want to miss these opportunities. I first learned about Garrick Ohlsson as I did about most of the famous pianists of the mid-to-late 20th century: through Dean Elder’s interviews for Clavier, later compiled into Pianists at Play. I read this collection so many times as a high-schooler that I can still recount a good portion of Ohlsson’s early story without consulting it. (The volume, autographed by Mr. Elder, is on my bookshelf here—I’ve never gone anywhere without it.) As with all the pianists’ interviews, I was transfixed by the tales of the dramatic events of his upbringing, training, and preparing for major competitions; in Ohlsson’s case fireworks exploding during the Busoni in Bolzano, the heightened atmosphere of the Montreal (both first-prize wins), and then his capstone 1970 Chopin International Piano Competition triumph. Preferring this competition’s repertoire to that of the Tchaikovsky Competition his teacher Rosina Lhevinne encouraged him to enter instead, Ohlsson learned all the required Chopin music from scratch. The rest is history—he went to Warsaw at age 21 and won first prize, the first American to do so. The victory launched him on an stellar career of several decades that takes him to Corvallis on February 18. Growing up in Syracuse, NY, I had the benefit of a community of truly superb piano teachers producing a considerable number of conservatory-bound pianists. Both the comradery and competition inspired us to work hard and mature as musicians as expediently as possible. We all shared the good fortune of having one of the nation’s major symphony orchestras (at the time officially classified as such) right in our city. During my senior year of high school, after Syracuse Symphony music director Christopher Keene was named general director of the New York City Opera, many notable guest conductors came through to audition for the post. One of the first was Jahja Ling (who has recently retired after a long tenure as music director of the San Diego Symphony). I attended with my father, my best friend (an excellent violinist), and my piano teacher. Ling made an extremely favorable impression on us, in large part for his beautifully skilled collaboration on the Grieg Piano Concerto. This was the first time I heard this incredibly rich work performed live. The piano soloist? Garrick Ohlsson, performing as magisterially as advertised. How exciting this all was! The combination of soloist, concerto, guest conductor on point, and great company made for an evening I have never forgotten. As a new board member of Corvallis-OSU Piano International, I find one of the many wonderful things about COPI is the organization’s ongoing commitment that students always attend the Steinway Series concerts for free. While I was sharing this information with the Lincoln County OMTA group, I suddenly recalled being taken to hear Van Cliburn give a solo recital in Syracuse when I was in elementary school. This concert made a huge impression on me because I had just started piano lessons and recently seen Cliburn perform as a guest on Mister Rogers’ Neighborhood, playing the piano upside-down! (Lady Elaine Fairchild had cast a spell on him.) As I told the OMTA group, even back in 1975, I didn’t get into that concert for free! In the time since I saw Ohlsson perform in Syracuse, he has forged a huge career, becoming one of the titanic pianists of his generation. I have heard him four more times in live performance, one of them an all-Chopin recital in Seattle in 2010 for the composer’s bicentennial. I was sitting with Robin McCabe, and afterward, we agreed that Ohlsson exhibited a miraculous ability to play each and every note with 100 percent intention. Music teachers, please take your students to hear this major pianist (and all Steinway Series performers)! You never know what inner fire this may kindle. Students, impress your friends by inviting them to a free, inspiring study break or Sunday tea date. Parents, share these concerts with your families. In this go-go-go day and age, with everyone spending so much time parked in front of various electronic screens, I cannot imagine a soul who wouldn’t benefit from hearing such an accomplished and inspiring pianist share a life’s experience in music with us for an afternoon on the beautiful piano of the LaSells Stewart Center. Of all the brilliant pianists COPI has had the honor to present, Natasha Paremski is the first to program Brahms’s fearsome Variations on a Theme of Paganini for us. These variations are undoubtedly one of the most difficult of all Romantic solo piano works. They comprise two books of 28 variations based on the popular Caprice No. 24 in A minor of Paganini for solo violin. The original is itself a theme and variations, and prior to Brahms’s set, Schumann and Liszt composed their own variations on Paganini’s theme. As Brahms would have known these works and the musical ideas they mined, he purposefully intended his own as knuckle-crunching etude-variations. Because he was such a superb composer, however, the technical challenges gild compelling musical expression, and they are thrilling to hear in live performance—on the rare occasion one gets to hear them! Not even Clara Schumann could play Brahms’s Paganini Variations (she referred to them as “Witch Variations”). They are indeed laden with fearsome technical challenges: double thirds and sixths, octaves, rapid hand-crossing, skips, trills, and cross rhythms—perilous from the first note to the last. 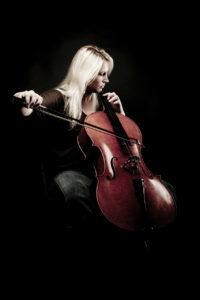 If you’ve seen Natasha Paremski’s performance of the Rachmaninoff Piano Concerto No. 3 on the COPI web site, you know that she is more than up to this formidable task. Speaking of Rachmaninoff, he too wrote variations on this same tune: the Rhapsody on a Theme of Paganini for piano and orchestra—which is by far the most popular of all these sets. And this year Paremski has performed that work with symphonies in Arkansas, North Carolina, and Mexico. It is tempting to think of concerts as a simple or one-directional interaction: the pianist performing on stage has an impact on the audience. However, it turns out there is communication in the other direction, as well; the audience makes an impact on the pianist. I know this because pianists often comment on our audience. They describe our listeners as attentive and responsive to the music. Joyce Yang, for example, who performed here in February made the following comment in a thank you note: Corvallis is such a special ‘Piano town’! It feels so wonderful playing for people that really care about piano music….Thank you again and I look forward to next time! It is clear to me now that a concert is an opportunity for the pianist and the audience to engage with each other, producing music that is alive and unique in the moment. Come and engage with Jon Kimura Parker in our final concert of the season on May 7.